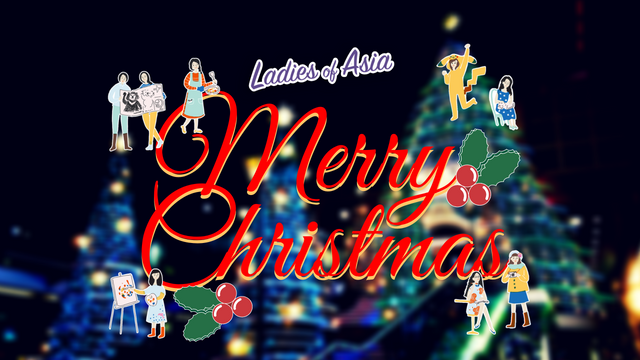 Happy Christmas from Ladies of AsiasteemCreated with Sketch. Christmas is coming very soon and this will the first Christmas that @LadiesOfAsia is spending with everyone. We want to share with you the festive season and atmosphere from each of our country. We hope you have a very Merry Christmas where ever you are! First up is @livinguktaiwan. "Christmas isn't official celebrated in Taiwan, it isn't even a public holiday. It's not banned or anything, it's just not considered a major festival by the authorities. 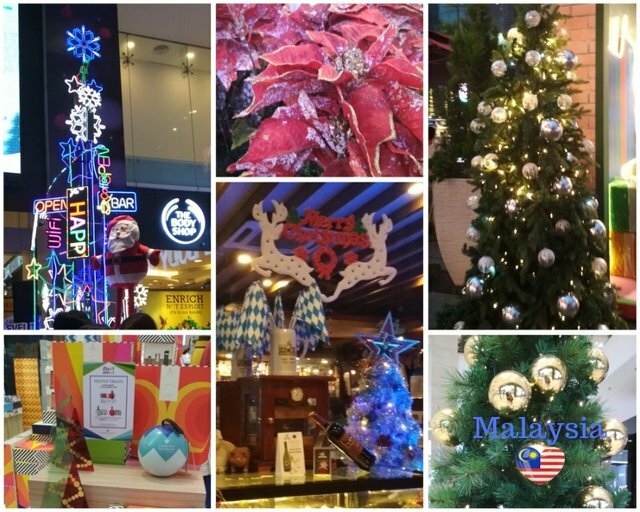 However, like most western countries we still have decorations but they are mainly in the shopping malls and department stores to attract more customers. Like these photos were taken outside the two big department store in Taichung. The top two photos have a Line theme which is an app like WhatsApp. It is the main communications app used in Taiwan as we don't use Whatsapp here. Actually, I heard many years ago, 25th December used to be a public holiday - the Constitution Day. But everyone, or rather the younger generation ended up celebrating Christmas instead of the Constitution, so the government just got rid of that holiday in the end." 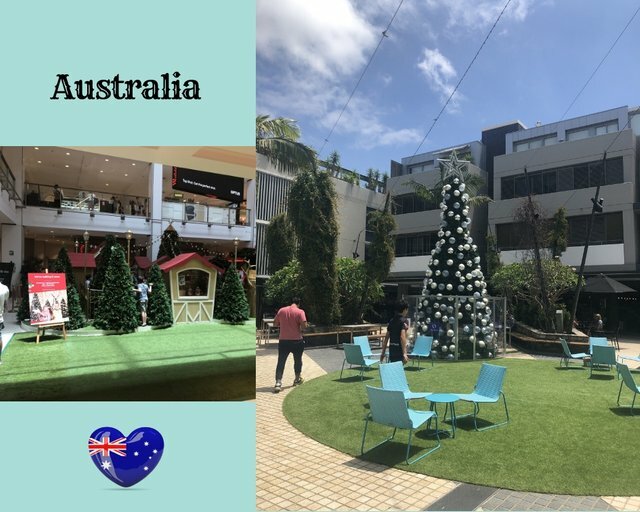 @travelgirl from Australia says, "Every year around Christmas time, every shopping center in Sydney is full of people trying to get their Christmas shopping done as well as take some Santa photos. You would find all sorts of Christmas decorations around the city and in particular outdoor centres will always have large Christmas trees under the sun where people can sit down and relax or have lunch during this busy season. Trying to take a photo with Santa in major shopping centres can be a bit challenging without a booking so if you haven't made a booking, expect to stay in line for some time before getting your chance to tell Santa what you want for Christmas this year." 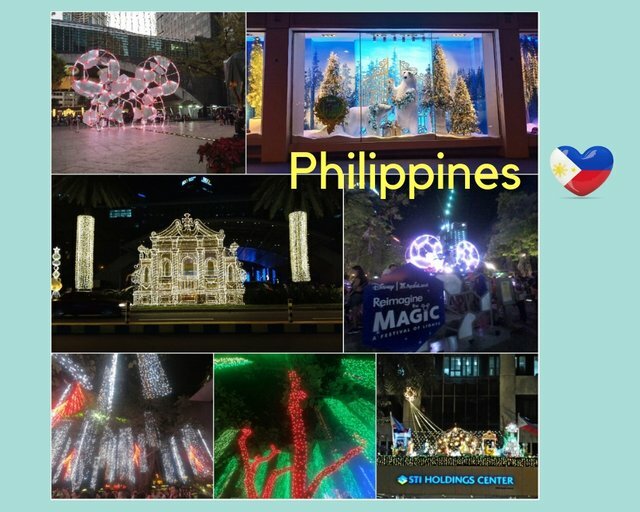 Next is @wanderlass, "Christmas in the Philippines officially begins on the 1st day of September. It's crazy, malls and restaurants play Christmas songs on this day. They start to sell Christmas decors as well. But you'll see major decorations after Halloween. Like this photo in Makati were all set in November. There's a Disney themed dancing Christmas lightshow at a nearby park.You would notice a mix of modern designs such as snow combined with traditional symbols like the church and the nativity. Oh and the Christmas season runs until the feast of the Three Kings which is on the 6th of January. You can say we celebrate it almost half of the year lol!!" Let's see how @jrvacation spends her Christms. 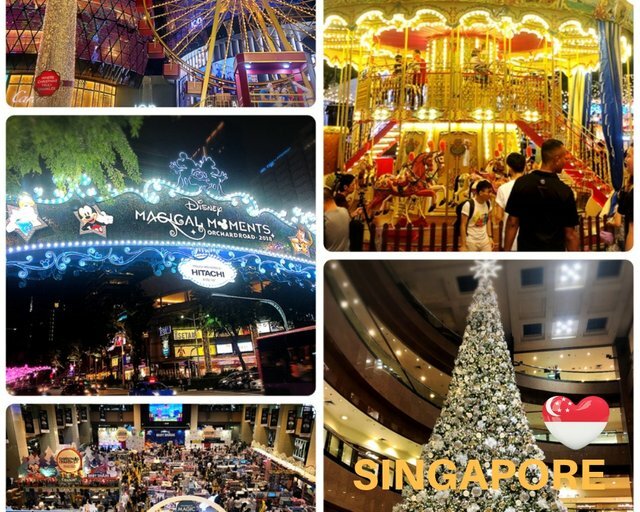 "Christmas is widely celebrated in Singapore with massive decorations at shopping malls. Especially iconic would be the themed Christmas lights-up along our main shopping belt- Orchard Road. This year, the Christmas theme is “Disney Magical Moments”. 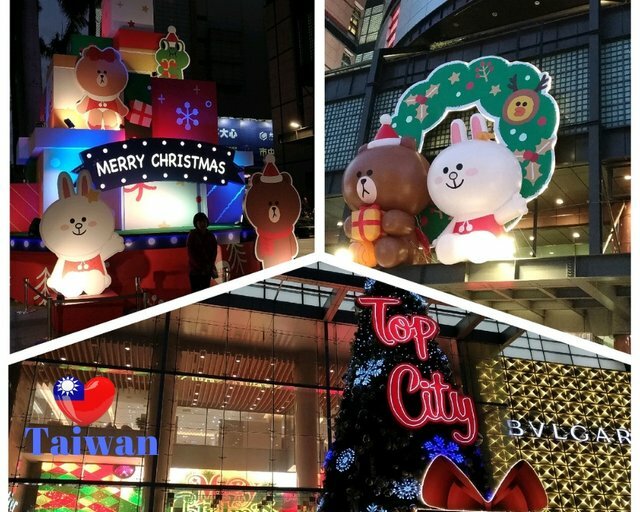 Beautiful Christmas decorations include the iconic huge indoor Christmas Tree and outdoor carousel at Ngee Ann City, a Cartier sponsored Ferris wheel outside Ion Shopping Mall, and various Disney-themed characters standees located along Orchard Road. Do you remember that I have mentioned about the big event space at basement 1 of Takashimaya Shopping Mall in our previous article on open spaces? Well well, this space is now converted into a huge shopping ground, selling all toys and gifts for children! If you are in Singapore during this festive period, do visit Orchard Road to catch the Christmas vibes! Merry Xmas everyone!" And finally saving the best for the last from @nanosesame "The Victoria Harbour is the most famous place of Christmas illumination in Hong Kong. I went to the Kowloon side (Tsim Sha Tsui) and walked around. Apart from Christmas theme, the New Year and Chinese theme also can be seen. The illumination decoration usually last till the Chinese New Year. Next year is the pig year so you can see there is little pig with Christmas costume, all themes combined, haha. 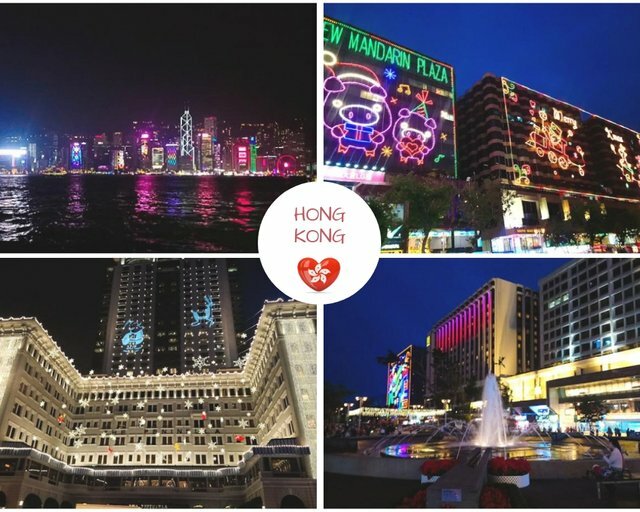 If you visit Hong Kong in this period, the illumination is a must see although there will be very crowded." Congratulations! This post has been upvoted from the communal account, @minnowsupport, by livinguktaiwan from the Minnow Support Project. It's a witness project run by aggroed, ausbitbank, teamsteem, someguy123, neoxian, followbtcnews, and netuoso. The goal is to help Steemit grow by supporting Minnows. Please find us at the Peace, Abundance, and Liberty Network (PALnet) Discord Channel. It's a completely public and open space to all members of the Steemit community who voluntarily choose to be there. This is super cool, I loved seeing the difference between the countries. Have a merry Xmas @wakeupkitty!